Create a positive feedback loop: The positive feelings inspire further generosity—which, in turn, fuels greater happiness. Don’t want to be a Negative Nellie anymore? Not everyone is going to appreciate your new lease on life! We all have times from our past that we’d rather forget. Whether they’re embarrassing, painful or things we done or said we now regret, I can say with confidence that all of us have things in our past that affect us deeply in our hearts and cause us to carry around some often painful memories each and every day, whether we are consciously aware of it or not. These memories show up in our lives manifested in the way we react to compliments or insults, as well as the opinions, judgments, flattery or grievances of others. Basically in how we’ve learned to respond to the world at large. And unless we “learn to learn” from our past experiences, they will continue to show up over and over in our lives as the same lesson, just through different experiences. You’ve Gotta Put Yourself First! There are a number of flawed beliefs people commonly carry in society today, but believing in putting others first is one of the most flawed. Sure, helping people is nice, but really, you’ve gotta put yourself first. Is our desire to “be better” than one another simply a symptom of a low vibrational state? 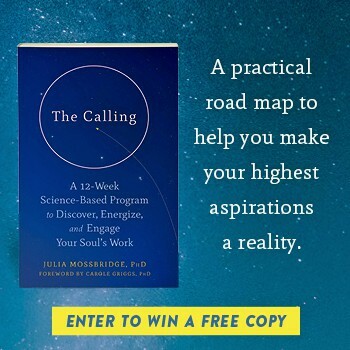 Is our desire to “win” at the game of life simply a sign that we are disconnected from our alignment? I began my gratitude practice at a time when I desperately needed help seeing the good in my life. Several failed relationships and a broken heart had left me blind to the incredible gifts the Universe had given me, and I was rutted in depression for three years. Believe it or not, the “spiritual” community is heavily weighed with so-called “gurus” who lead from ego rather than heart, and whom tend to have mastered the art of taking money from people with low self-esteem. While this isn’t the norm of course, there are many whom are profiting off people’s weaknesses and rather than helping people actually learn, grow and expand, they are monetizing these weakness to keep people living small. Some phrases have been passed along for so many generations that none of us no what they mean or how to say them anymore. Read this and be informed.